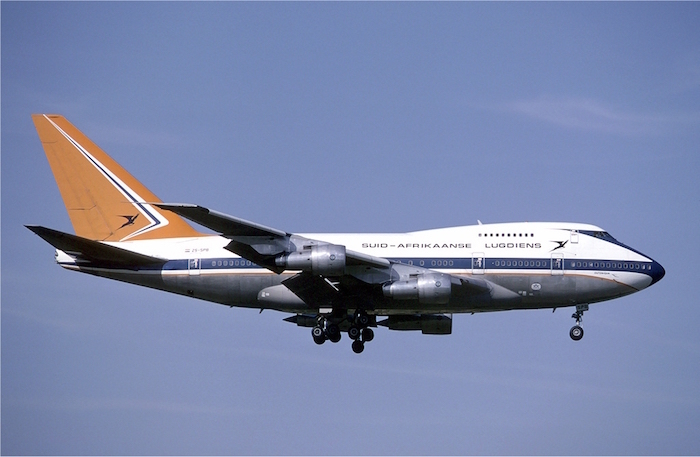 Passengers were robbed of jewelry and cash while they were sleeping during a 13-hour flight from Johannesburg to Hong Kong on South African Airways (SAA). Two of the passengers informed the flight attendants, and one passenger said they suspected a few passengers who had been rifling through the overhead bins while people slept. The attendants called the police. Once the plane landed, the police came onboard and the suspects were asked to remain while the other passengers were let off the plane. The suspects were searched, but none of the stolen items were found on them. However, after they left, the items mysteriously appeared on the suspects' and robbed passengers' seats. The suspects were not arrested since there was no direct evidence. Apparently, this isn't the first mid-flight robbery of its kind. In a similar incident in January this year, several passengers onboard a flight bound for Prague from Beijing were robbed by another passenger mid-air. Money was stolen from the luggage stored in the overhead compartments and also from seat pockets. The cabin crew was alerted by one of the victims who discovered her money was missing half an hour before the flight was supposed to land. This prompted the co-passengers to check their luggage during which they discovered their cash was also robbed. Authorities have previously said how the thieves “scout” their prey before boarding and then place their own bags in the same overhead bins as their targets before rifling through them when the owner is asleep or in the toilet. These gangs are believed to target flights as they think airlines struggle to deal with thieves properly.